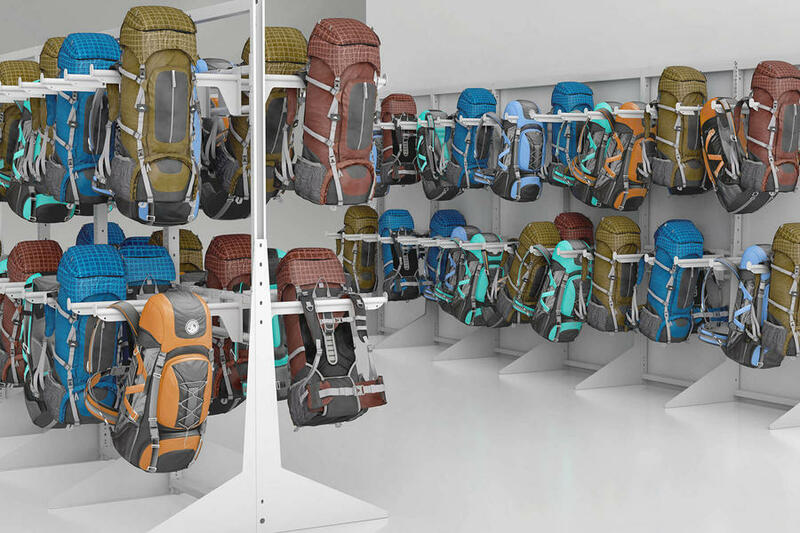 Parachute and skydiving gear storage | Montel Inc.
Trust our experience and expertise combined in an innovative storage solution that will store and secure you skydiving essentials while opening up options for the future. 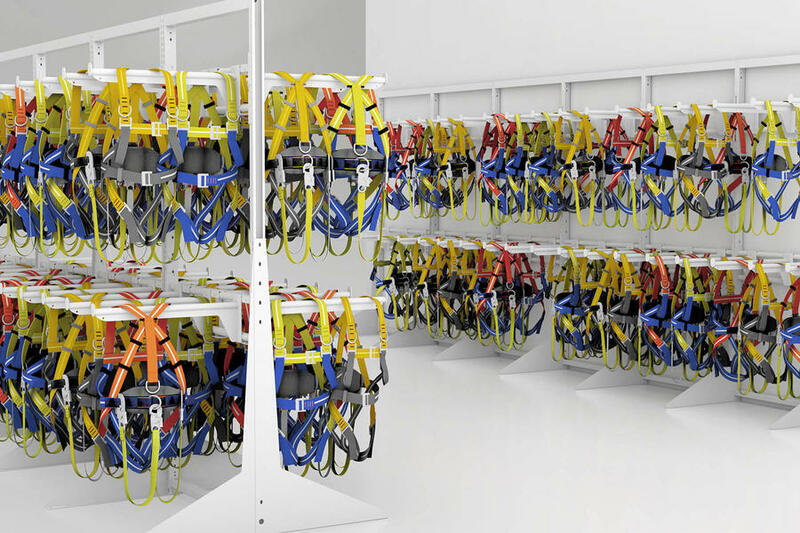 We have designed our parachute racks and mobile storage systems to work together to optimize the use of your valuable storage space by compacting your storage into a smaller footprint. 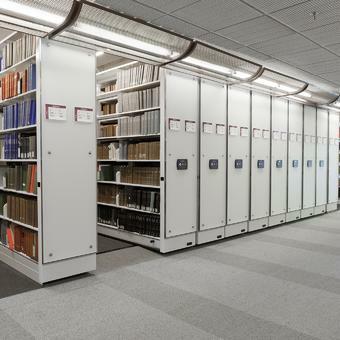 With our high-density shelving and racking systems, no longer will you need to place your gear in cardboard boxes, on the floor, or be limited in the number of parachutes you can store due to space or weight restrictions. 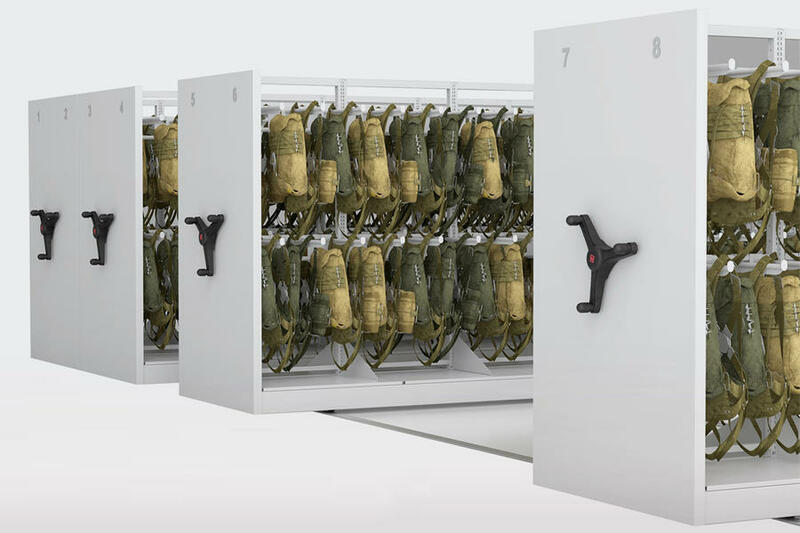 Our hight-density systems present a smooth interior design and rounded exposed edges which eliminates catch points, protecting chutes from snagging or puncturing, and keeping bulky or heavy parachute equipment organized, well ventilated, out of the reach of UV rays and safely out of the way. 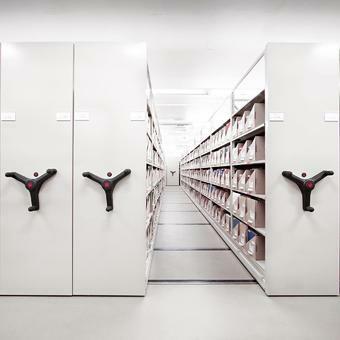 For ease of use, choose from mechanical-assist handles, powered buttons, or touch-screen controls. 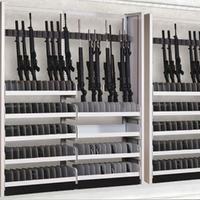 Customizable, our storage systems are durable and user-friendly. 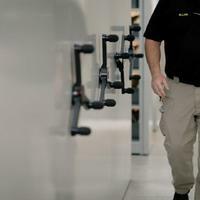 Be always ready with ever secure gear. 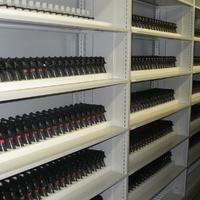 Contact our experienced team to plan, install and maintain your storage solution. 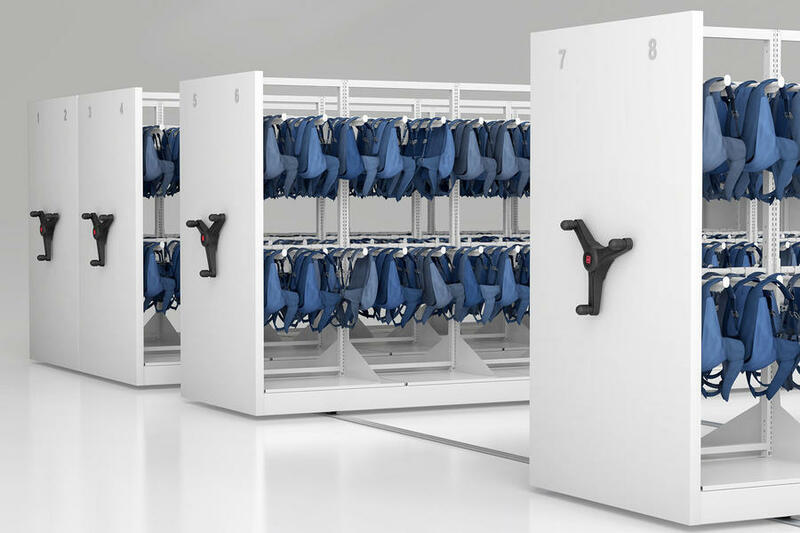 Benefit of various controls, technologies, remote features and safeties such as Smartphone remote control, automated aisles mobile system, automated ventilation mode or controller with PIN code for added security. 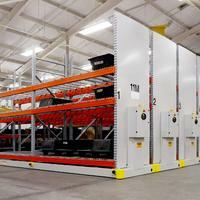 Flexibility of adding or moving carriages to your mobile system, if needed. 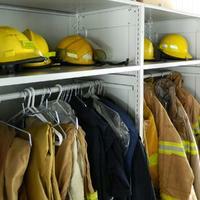 Secure and flexible military storage solutions for air forces, the army or military bases.